Amanda Nunes is currently gearing up for an upcoming super fight against women’s featherweight queen Cris Cyborg in the co-main event of UFC 232 which takes place on December 29, from inside the T-Mobile Arena Las Vegas. Nunes who move up a division to face Cris Cyborg, if ‘Lioness’ pulls the victory, she’ll become the first woman in UFC to hold two titles simultaneously. Back in September Nunes said with a win over featherweight champion will cement her status as GOAT. In her recent interview with TMZ, a reporter asked her if her upcoming showdown with Cyborg is the biggest fight of her career. Nunes instantly responded by saying for sure. On being asked, if a super fight with Cyborg is bigger than her Ronda Rousey fight. To remind you, Nunes, easily defeated Ronda Rousey via first-round TKO in 48 seconds at UFC 207 back in 2016. Rousey who remains as one of the most dominant fighters in the history of combat sports, while Cyborg could be even more. 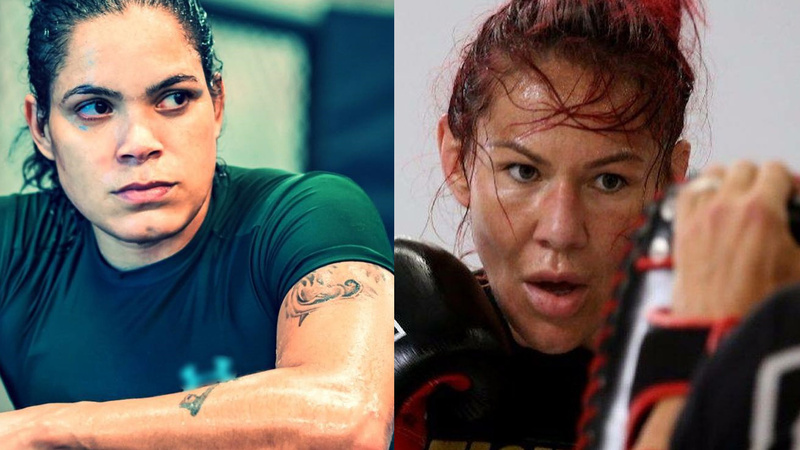 Cyborg currently riding on a 20 fight win streak and holds notable wins over the likes of Holly Holm, Tonya Evinger, Leslie Smith and few more, while Nunes is on a seven-fight win streak and beat notable names like Ronda Rousey, Valentina Shevchenko (twice), Raquel Pennington and Miesha Tate. Cyborg has a reputation of overwhelming power-puncher. Not only that she has a strong grappling game too and moreover her conditioning tops everything. Nunes is preparing herself for all kind of challenges, and not expecting anything until she meets Cyborg inside the Octagon. Share your thoughts between two tough fighters Nunes and Cyborg who will come out on top? Brock Lesnar Could Return Soon, All Eyes Pointed On USADA!